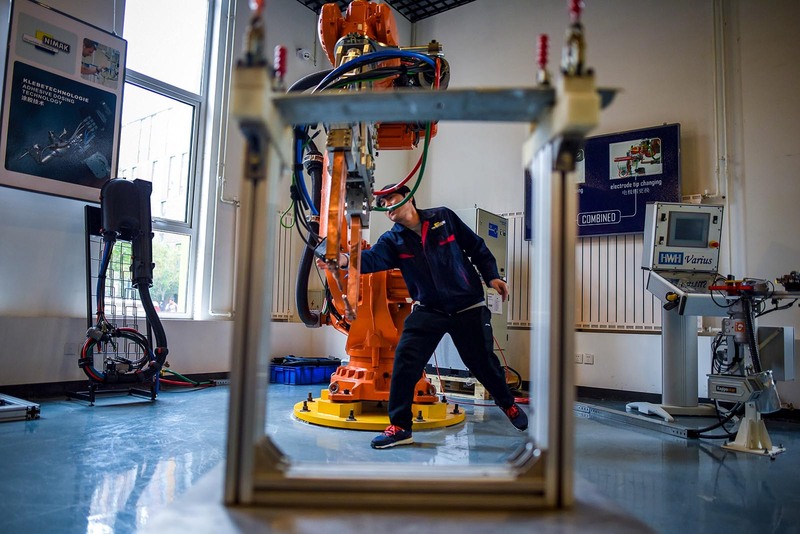 A worker checks a robot arm at a robot company in China. During this last week of the year, we are looking back at some of the most interesting themes and ideas that appeared on BRINK during 2018. On Monday, we looked at the overall year of coverage on BRINK. 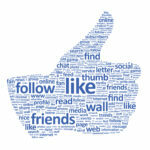 Today, we examine how we covered technology. There is a company in Hong Kong that has an algorithm on its corporate board. This startling claim came to our attention during a week of content focused on the future of AI that BRINK ran in June. In an interview with BRINK, entitled Will AI Board Members Run the Companies of the Future?, Mark van Rijmenam, the founder and CEO of Datafloq, described how this algorithm takes into account many more data sources than humans can and, based on that, makes a decision as a voting member of the board on whether or not the organization should invest in a company. Given how much technology is now embedded in our work and private lives, it’s not surprising that technology was the subject we returned to more often than any other on BRINK out of our five main categories of the economy, society, environment, technology and geopolitics. One of the most interesting discussion threads that emerged during the course of the year was around artificial intelligence. 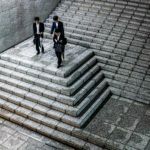 It revealed how companies are trying to position themselves to take advantage of the opportunities that AI offers, while also grappling with the many legal, ethical, and regulatory issues that AI raises. Have you ever heard of a cobot? Much has been written about the way in which automation and robots will replace the human worker on the factory floor. 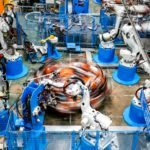 However, in an article in June, Ron Harbour and Jim Schmidt of Oliver Wyman argued that some forms of AI could actually extend the working lives of employees, especially older workers, by partnering with them as collaborative robots—or cobots. Given that the age of the average worker in the U.S. is now 42 and that lower immigration is failing to offset aging populations and falling birth rates, cobots could be a huge market. In April, Prashanth Gangu argued that We Need To Approach AI Risks Like We Do Natural Disasters, given the potential that AI has for creating black swan events if AI technology goes wrong in ways that we cannot foresee. “Like the risks associated with natural disasters, companies cannot completely protect against smart-device risks by buying insurance; they must have worst-case scenario recovery plans. 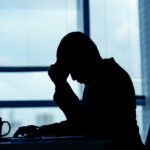 Managers have to figure out their higher- and lower-risk intelligent device vulnerabilities, add in redundant systems, and potentially set up the AI equivalent of tsunami early warning systems,” Mr. Gangu wrote. In 2018, BRINK technology coverage ranged from how AI doctors are being used in Mongolia, to how smart dust might stop counterfeiting. One way that AI can go wrong is by having faulty or biased algorithms. 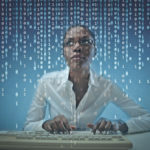 In a November piece, Miriam McKinney of the Johns Hopkins University Center for Government Excellence argued that “All data have bias, all people have bias, and therefore all algorithms have bias.” To avoid this problem, she urged companies to open up their processes of creation, maintenance, and implementation for algorithms and to encourage internal conversations on equity and ethics in algorithms. How Much Do You Know About Blockchain? What Is the Future of the Energy Sector? Can Blockchain Power The Energy Business? While the value of cryptocurrencies recently peaked at $800 billion, the world’s money supply (including cash held in accounts) is over $90 trillion. Bitcoin mining already consumes more electricity than the country of Ireland, and single transactions can consume the equivalent of a full charge of an electric vehicle. There are more people learning foreign languages on the Duolingo platform than there are people learning foreign languages in the whole U.S. public school system. According to John Halamka of the Harvard Medical School, a patient being able to say, “Alexa, schedule a routine appointment with my cardiologist. What’s the next available date?” would be a game-changer for any health care system. 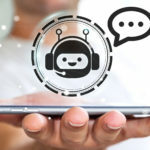 AI-based technology rooted in behavioral science is now able to alert customer service agents to the emotional state of the customer on the other end of the line as well as whether their own emotional state is changing. Prompted by a wave of high-profile attacks and new data protection rules, annual gross written cyber insurance premiums have grown by 34 percent per annum over the past seven years. Tomorrow, we look back at how we covered cities—and on Friday, the workplace. Thomas Carver is the executive editor of BRINK News. Carver was vice president for communications and strategy at the Carnegie Endowment for International Peace, and a journalist for the BBC from 1984 to 2004.